When I heard that Healthy Solutions Spice Blends was having a recipe contest, I figured I'd give it a shot. I like entering contests. I makes me think of cooking things I might not think about otherwise. Also, I've used the Healthy Solutions blends before, so I knew what I was getting myself into. The Bold Beef Blend is my favorite so far - I've used it several times for beef roasts and well as in sous vide recipes, like this one for a sous vide beef rib roast. My impression of the Bold Beef Rub was that it made the beef taste beefier, so I thought it might work to add beefy flavor to something that had no beef at all. 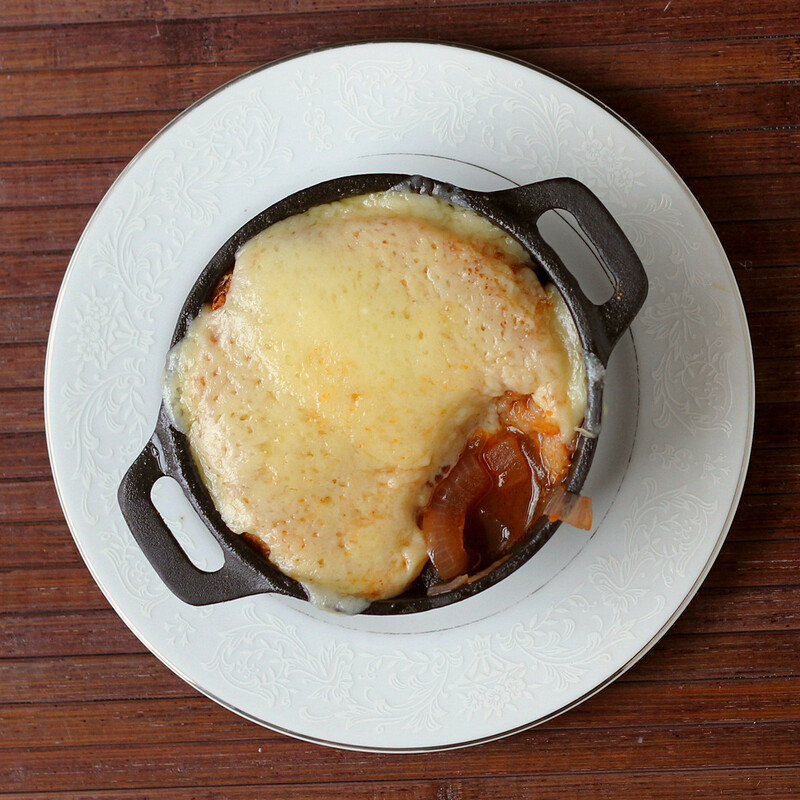 Like a vegetarian French onion soup. 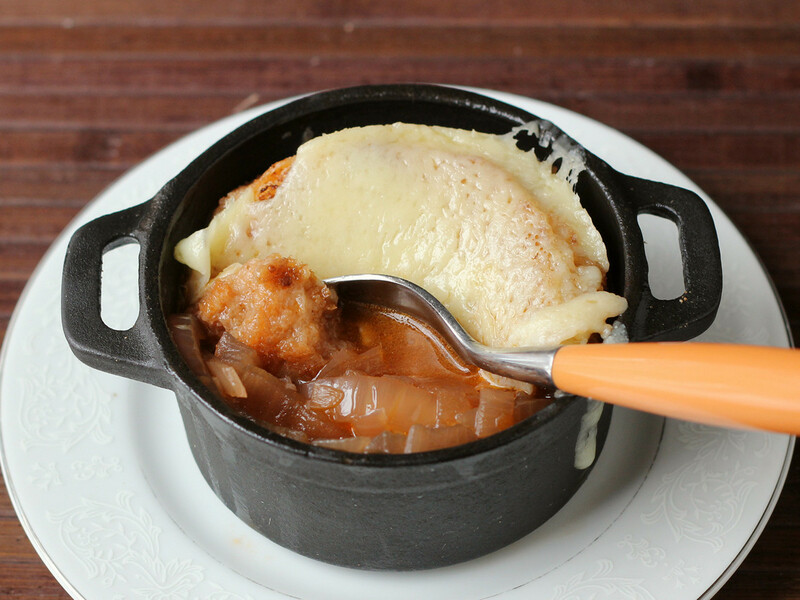 While you can make French onion soup with something other than beef stock, it's the flavor I like the best. So that's why it was my target. I got the result I was looking for. The combination of the beef rub, tomato paste and red wine, along with the onions, gives this soup an umami-rich flavor that will convince you that you're eating a beef-based soup. While I'm not suggesting that you try to fool anyone into thinking you're serving beef soup, this would be great if you've got vegetarians in the house, or for meatless meals, like for lent. Or if you don't have any stock on hand and you've got a craving for soup. For the onions, you can use whatever type you have on hand - or a combination of onions. I used yellow, red and sweet onions - one of each of the large yellow and sweet onions, and two smaller red onions. Because of the tomato paste in this soup, it's got a slight red cast to it, but it doesn't taste like tomatoes - the paste just adds some richness. Gruyere is a good cheese for this, but you can use and American-made Swiss cheese, or even provelone or mozzarella, as long as it's a cheese that melts well. Melt the butter in a large, heavy-bottomed pot over low heat - a Dutch oven is good, but a sturdy saucepan is fine, too. Peel the onions and cut into quarters through the poles to make four wedges, then slice into 1/4-inch slices. If the onions are very very large, you can cut them into eight wedges so your slices are smaller - you want them to fit neatly on a spoon and not be long, spaghetti-like strands. Add the onion to the pot along with the Bold Beef Rub. Increase the heat to medium. Cook, stirring as needed, until the onions are tender, about 10 minutes. If they start getting crisp, turn the heat down. Add the tomato paste, red wine, and water. Cook, stirring once in a while, for at least 30 minutes. Longer is fine. As the liquid evaporates, you'll end up with a soup that's fairly thick with onions. If you want a brothier soup, add more water, as desired. Add several grinds of black pepper. Taste for seasoning and add salt, if needed. If you used a cooking wine, you will need less salt than of you used a drinkable wine. To serve, ladle the soup into oven-proof ramekins. Top with the baguette slices or toast, and top with cheese. Place under the broiler until the cheese melts. But what if you don't have oven-proof ramekins? You can put the cheese on the baguettes and melt the cheese in the microwave, or place the baguette slices on a baking sheet, top with cheese, and place in the oven to melt the cheese. When you have properly melted cheese, float the baguette slices on top of the soup. Serve immediately - it's best when the cheese is still soft. 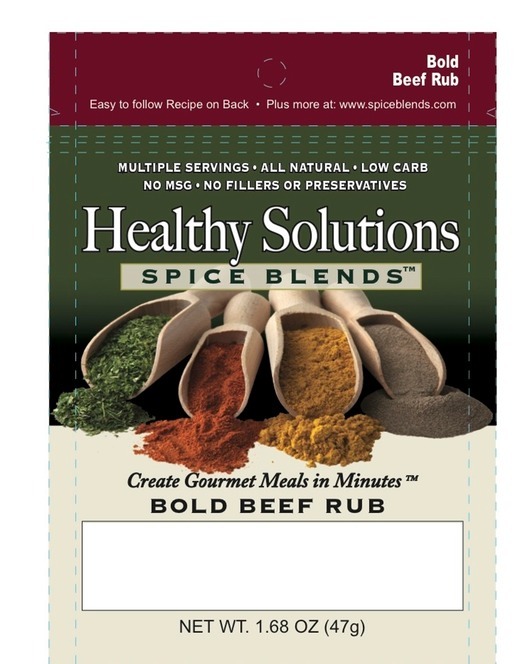 I received a package of Healthy Solutions Bold Beef Rub to facilitate my entry in the contest. There was no other compensation ... unless I win. We'll see about that.